FWIW on a GT3, activating the lift brings the front bumper UP to I think 3.5 inches, whereas my SPASM lip is 5.5 inches all the time so a PASM would be like 6 inches. I did not order axle lift for my 991.2 Targa but did keep the front lip unpainted black. the replacement lip is less then $250. 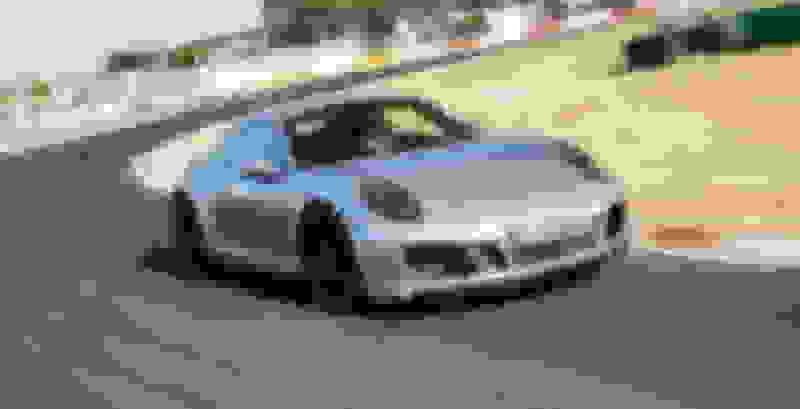 I received an allocation for a 2019 911 Carrera GTS in May. The GT Silver Metallic GTS is configured with PDK, Porsche Sport Suspension, Porsche Dynamic Chassis Control, AWS, GTS interior package,front lift, Burmester sound system, black door handles, lane change assist, etc. I was to have taken delivery in late November, but Porsche accelerated their production schedule for the car, and it is being delivered in around a week and a half to Davisville, Rhode Island--very excited about this new addition! Had a GT4, currently have a 991.2 Targa 4S that is lowered about 1" on Techart springs. It sits MILES high from the factory. Huge ground clearance, huge fender to tire gap. It is unsightly and 4x4 looking. Sits so high stock that I lowered it as soon as I got it home from PEC (~1000 miles) and honestly it still is too high. You do NOT need the front axel lift at all I don't care where you drive(unless you plan to slam it like a 2-3" drop). I will say it is very relaxing not worrying about scraping all the time compared to my previous GT3 and GT4! Also of note on the 991.2 both front and rear shocks have perches and you can raise and lower the car on these independent of springs. I'd like to drop mine by 1 in the front and 2 in the rear but I didn't know about them until AFTER the shop installed the springs and the labor (on the Targa) to do the springs is really stupid since the rears are so complicated and hard to access due to the Targa top mechanicals. I have never heard of perches on the shocks that allow the front & rear to be lowered - how much lower can one go? Anyone done this? I am not doubting you but it would seem that I would have heard about this somewhere but there was a way to lower the C7 Corvette I had last that not many people knew about. Does anyone know the exact weight added by the front axle lifter? Modules in the PASM dampers are powered by a compressor to lift the front-end about 1.6 inches/40 mm. I do not know the weight of the compressor. I will tell you the GTS and GT3 need this lift system given the low ride height for ramps, speed bumps, etc. Also, if you ever decided to sell it, the lift is a value-added feature. I've never needed it on my GTS cab, which has the same ride height as the Targa (higher than the coupe with SPASM). It feels like a 4x4 and can get over anything without any worries, at least where I live. I wish I had the lift though, so I could lower the car and not have any worries. I ordered my GT3 with a lift, that car most definitely needs it. I have a lifter on my 991.2 TTS, use it sometimes but not a whole lot. Skipped it on my Targa GTS order. 100% sure i won't miss it. Out of curiosity, what made you order a 991.2 Targa GTS when you already have a 991.2 TTS Cab? Dont get me wrong, I think its awesome, but it seems like to you explore a lot of other options that would offer a different driving experience. Depends where you live and drive. I use mine frequently in driveway transitions. As I drive the car more and more I encounter constant places I’m glad I have it. Easy peace of mind. I've only driven my Targa GTS for 500 miles but have yet to encounter any situation where I need to raise the frontend, or even angle my approach so I am glad I did not order the FAL. As others have said it really depends on where you live...if I were in San Fran I probably would have gotten it.